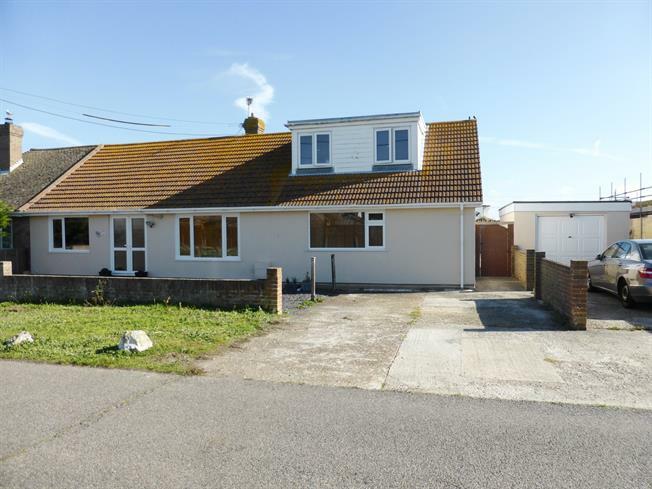 4 Bedroom Semi Detached Bungalow For Sale in Romney Marsh for Asking Price £345,000. Fabulous opportunity to purchase this extended four bedroom chalet bungalow which has annex potential. French doors open into the entrance hall which is spacious and has an airing cupboard. The lounge has stairs leading to the first floor and opens into the dining room with a feature fireplace. Good size kitchen/breakfast room with built in electric hob, extractor hood and electric oven, breakfast bar, spaces for fridge/freezer and dishwasher. Utility and laundry room. Three bedrooms downstairs and family bathroom. Upstairs is the master bedroom with en suite shower room. Garage with off road parking. Low maintenance rear garden with fenced surrounds.